RI, spectrum, SG, and sometimes appearance. The detection of dyes might require advanced lab testing. Scratch test can be used but is destructive. Dyed jadeite stones will have a broad band in the red area of the spectrum and natural jadeite colored with chrome will only have 3 lines in the yellow, orange and red. Idocrase mixed with hydrogrossular garnet Imperial jade / gem jade / emerald jade is considered the finest quality of jade. It is semitransparent and has an even, intense emerald-green color.Apple green jade is a vibrant medium yellowish green about the color of a granny smith apple.Chloromelanite is semitranslucent to opaque variety of jade that can be very dark green to black. The stones get their color from chromium and iron. The stone can have uneven color actually a mixture of jadeite and other pyroxene minerals which are minerals found in igneous and metamorphic rocks.Yunan jade the dark green variety that is semitranslucent to opaque.Moss-in-snow is translucent mottled white and has green veining, patches or spots called streamers.Fei-ts'ui or Kingfisher jade comes from Burma and is an intense medium green less intense than Imperial jade. 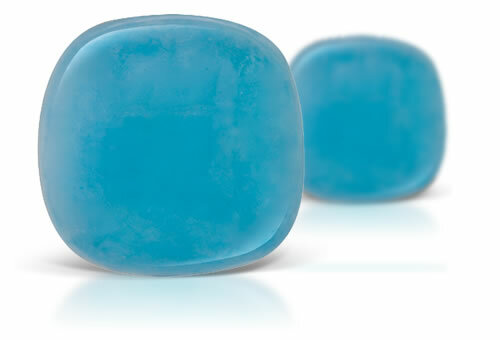 Jadeite is made up tightly packed crystals and you might see the crystals sparkle on areas that have not been polished on larger-grained items. Stone often are unevenly colored with root like mottling. If the item is dyed it might be possible to see dye concentrations. Dyed jadeite is usually unevenly colored but sometimes you might be able to see dye concentrations under magnification. You might observe the orange peel effect on older pieces due to differential hardness of the stone. The use of modern polishing compounds has all but eliminated the orange peel problem.